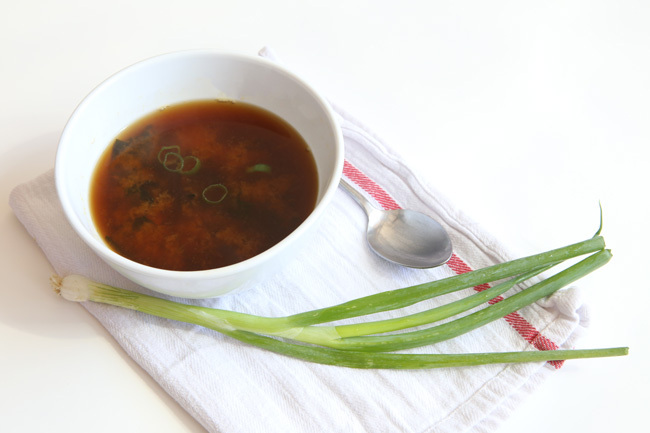 Miso soup recipe - pin it! 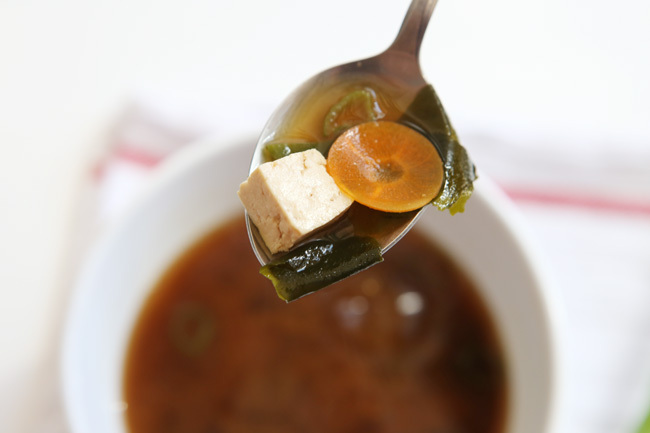 Bring the water, carrot and miso to a boil, then turn down to simmer. Add wakame and tofu. Cook about 10 minutes. Add shallots. Cook 5 minutes more. Serve and enjoy.